$475 for the pair. 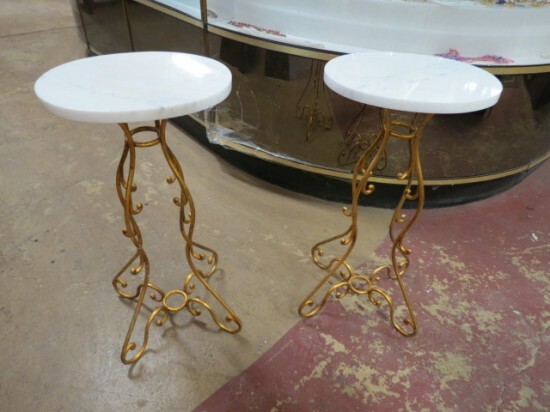 Vintage antique pair of gold metal pedestals with marble tops, c. 1960. Curly que gold metal base with 4 legs. Oval white marble top. Unusual! Perfect for a vase, a sculpture, plants, a lamp, etc. Excellent condition. 15in wide, 12in deep, 31in tall.